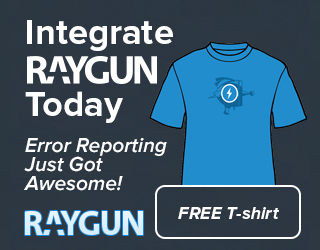 Raygun.io is the fastest and easiest way to track your application’s errors and get the level of detail you need to fix crashes quickly. Josh is officially unemployed, and finally the EnreProgrammers are officially unemployed by the man. 8:00 – Josh makes a good point that writing code is a 100 dollar per hour business skill, and solving business problems is a 1000 dollar per hour skill. 12:23 – John talked to Elisa Doucette a freelance writer and editor. Elisa will be working with John to help with publishing content for Simple Programmer. John talks about his vision for his blog post, and how would like to add more artistry in blogging. 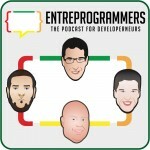 17:40 – John announces that he launched the Simple Programmer podcast. 19:12 – John finishes the audio recording of his book in one week, “Softskills.” Josh talks about recording process of the audio book. Johns book will be going to Audible.com soon. He added some bonus content for the listener/reader. Along with the 16-hour audio book reading, he managed to shoot 29 videos for his YouTube channel. John mentions his contract consulting work that is coming up. 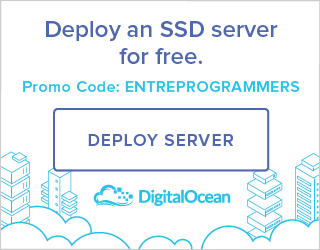 DigitalOcean simplifies cloud infrastructure for developers. Choose your favorite distro, select your region, and spin up an SSD server in under a minute. Pricing starts at $5/mo for 512MB RAM, 1 CPU, 20GB SSD, 1 TB transfer. Use promo ENTREPROGRAMMERS for $10 credit. 28:01 – Chuck is very happy with his Virtual Assistant. Chuck talks about his income numbers, and still feels like he is struggling. Chuck shares information about debt and expenses. John gives advice about how to go about budgeting money in separate accounts. Josh talks about his family budgets money. Chuck talks about paying off debt this month. John believes that is where the huge amounts of money is going, to paying off debt. 47:42 – Chuck talks using the Financial Peace University at home package. John shares some mindset about how to look at the expenses Chuck has to pay during the month. 51:55 – John talks about getting the Apple Watch, for running and playing back audio books. John does the math and time saved not having to pull your iPhone for your pocket. 57:55 – Chuck is going to be doing RailsClips, and possibly switching to WordPress. Chuck talks about struggle to get things done. John talks about a technique he used to get his audio book done. 1:04:20 – Josh talks about his strategy to get things done, by turning off all notifications like Skype. Josh says it is difficult to get started writing, no matter how many times he has done it. 1:08:20 – Josh talks about the transitions out of his job, and getting equipment returned and deleting software and such from his work computer. Josh shares how his client work is going well, and writing emails for a launch. 1:15:15 – Josh talks about diagram funnels his client is creating, he says it is a clever and not like anything his has ever seen. Josh is still getting contacted about copyrighting jobs. 1:20:00 – Josh talks about getting an email from business prospect that is selling products similar to carports. He is wondering how to promote this product? 1:22:15 – John talks about getting a new client for life coaching. John talks about the pricing for coaching, hourly, blocks of calls, or month packages. Josh talks about the pricing models his mentor uses for copyright coaching. 1:27:38 – Josh mention is really digs Omnifocus, to get notifications and staying organized. The mastermind talks about how they sometimes have a lack of motivation to recording video and audio content or writing. John elaborates how doing tasks, such as posting content has become apart of his weekly routine, and something he doesn’t need to think about anymore. 1:50:09 – John says that it takes him about 4 pomodoros write a 3000 word blog post. 1 pomodoro is a 25 minute work period, each with 5 minutes of rest. 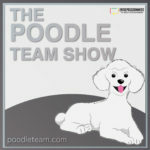 1:58:00 – John talks about developing skills under constraint like a Hibachi chef. Chuck – Don’t short change yourself, by only listening to people you agree with. John – Wait for the Hell Yes!